HOW TO PREVENT ORTHOPAEDIC DISORDERS? Are you in search for what are the available treatments for Orthopaedic disorders, how to prevent orthopaedic disorders? Stem cell therapy has proven to be the most feasible treatment for Orthopaedic conditions. The fact that you are reading this blog post means there is a high probability that you or a close one of yours is suffering from an orthopaedic condition. Orthopaedic disorders are everywhere – one of the most prominent causes of discomfort in our daily lives are these orthopaedic conditions. These ailments are mainly concerning the joints, muscles and ligaments in our body. Joint and muscle pain are typically observed in the neck, lower back, shoulder, hip, knee and ankle. The knee is the most frequent site for chronic pain accounting for 17% of all cases followed by the shoulder and the hip. Orthopaedic disorders can be categorised as a spectrum of ailments that covers congenital birth defects to rickets in children and even osteoporosis. Many orthopaedic disorders are degenerative in nature including arthritis and arthralgia that manifest themselves in joint pains. Other than joint pains, fractures are another type of orthopaedic conditions that cause pain and discomfort in daily activities. Although these conditions are not fatal, they cause several limitations in carrying out common activities of daily living. Moreover, they also result in lost workdays and some of them go on to become a source of lifelong pain. The symptoms observed during orthopaedic disorders include swelling, warmth or redness in the joint, recurrent or constant joint pain and joint stiffness. Symptoms like pain and distress are so common that they could be masking other ailments or diseases. Therefore, the physician needs to collect a lot of background data and perform a thorough examination. Tests like x-rays, magnetic resonance imaging, blood tests and joint aspiration are performed to give an accurate diagnosis of orthopaedic conditions. Chronic orthopaedic conditions can often affect our sleep cycles, interfere with our daily life activities leading to anxiety and even depression. Most often, orthopaedic disorders can only be treated if they are a result of an infection. All other disorders under the spectrum can only be managed and prevented from turning more chronic. However, these disorders can be prevented with routine healthy habits and moderate changes to our normal routine at work and at home. Diet: Firstly and the most important, a well-balanced diet is extremely crucial in avoiding orthopaedic problems. A diet rich in calcium and vitamin D is often recommended for patients suffering orthopaedic disorders whereas, a fat and sugar-rich diet can elevate the levels of cholesterol and blood sugar often leading to weight gain, obesity and diabetes that can, in turn, have an adverse effect on health and aggravate orthopaedic-related symptoms. Posture: A slouching posture is one of the main causes of lower back pain. Try to avoid a slouch either at desk, at the dinner table, while watching television or working on the computer or while driving. If possible, use a back support or a cushion for support. Even while sleeping, using a mattress that is not too soft or too hard can prevent back pain. Physical activity: The modern lifestyle makes us dependable on travel by car or motorcycle and discourages rigorous physical movements. Make a physical activity like walking, running, cycling, swimming or even yoga as an integral part of your daily routine. Use a proper footwear with a soft sole that provides support to the feet and ankle. Avoid using heels or flat soles for a long duration of time. Take extreme care while bending forward or making quick movements. Try to harden the stomach core muscles and adjust legs position while lifting heavy objects. Early intervention: If you experience consistent lower back pain or pain in the knee, get a proper medical consultation before the condition becomes chronic. Orthopaedic disorders, if treated, in the initial stages can be suppressed from becoming chronic and a lot of other associated complications can be prevented. Once diagnosed with any orthopaedic conditions, doctors prescribe pain-relief drugs and other analgesics along with light exercise and therapy to combat the disorder. 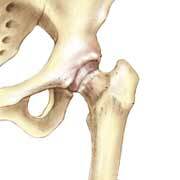 If the condition has aggravated and is in the final stage, joint replacement is the recommended solution. However, post-operation, the patient often complains of residual pain at the surgery site and fails to attain 100% recovery. Nowadays, stem cell treatment is emerging as a potential alternative for final stage conditions. 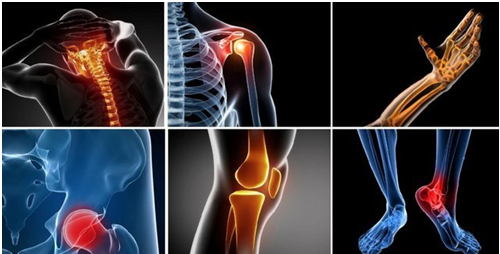 The amazing healing potential of mesenchymal stem cells derived from the patient’s healthy bone marrow or adipose tissue is injected directly or in combination with a polymeric scaffold to house the cells at the site of injury and heal the tissue. Overall, orthopaedic conditions can be prevented and are manageable even after diagnosis. Rather than treatment, it the right kind of attitude that is critical in overcoming the condition. You must learn to have a positive outlook and be consistent with a healthy lifestyle. I believe an optimistic approach towards life could surely help you in avoiding or fighting any kind of ailment, let alone, orthopaedic disorders. For further queries regarding Stem Cell therapy for the orthopaedic condition, feel free to ask below in comments. For instant response, call us at +91-9654321400 or write an email to info@advancells.com.